Chicana Vegana's loaded carne asada fries and other offerings. Courtesy of Chicana Vegana. When Vegan Sweets Con invaded the Convention Center last November, the managers at the neighboring Pike Outlets looked at the thousands of attendees and understood they were not only missing out on a growing market but one that could create a vegan hang-out for a community largely driven to other areas of the city. Approaching the organizers, they struck up a deal: Enter Vegan District, set to take over the Pike Outlets every first Saturday of the month beginning March 2 (after a false launch in February that was cancelled due to torrential rains). Yes, there are plenty of regular vegan options ongoing—Taco Tuesday and monthly Vegan Social at The Hawk, the semi-weekly Vegan Brunch at 4th Street Vine and the weekly vegan brunch by Wild Chive at the Alamitos Bay Farmers Market—but large-scale, multi-vendor vegan events are typically relegated to the annual occurrence. Husband-and-wife team Kawani Brown and Edward Yniguez (along with their children, 8-year-old Miakoda and 5-year-old Supernova) want to change that. And Brown truly means “all over the region.” There’s Redlands-based Eden’s Kitchen, serving up vegan Ethiopian and Eritrean cuisine in a city that lacks both on every level. Los Angeles-based Word of Mouth truck serves up plant-based comfort food, from mac-n-cheese bits to fried chicken sandwiches. 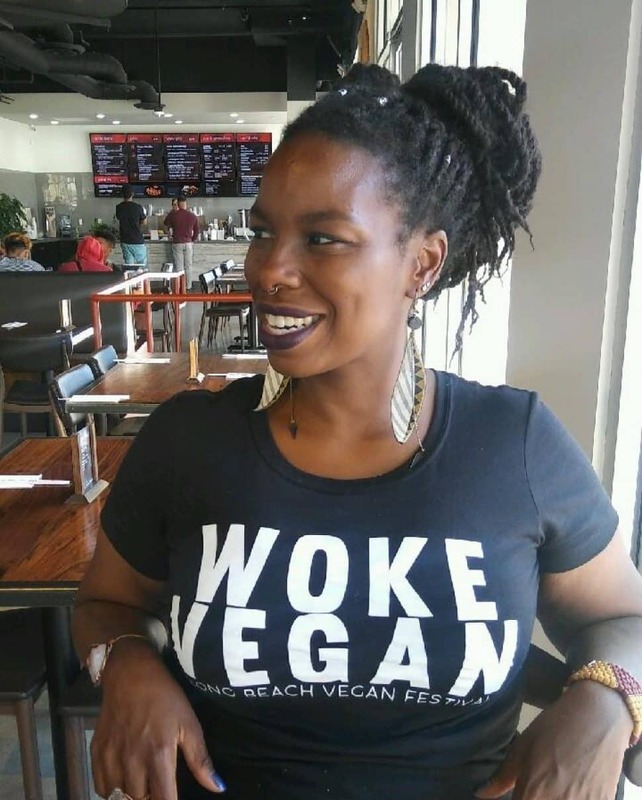 Long Beach Vegan Festival founder Kawani Brown. Vegan District will take place the first Saturday of every month beginning Feb. 2 at the Pike Outlets, located at 95 S. Pine Ave. For more information, click here.